In last week’s meandering MBTA meeting that resulted in fare hikes that will take effect in July, some good news may have been lost. Along with freezing current fares for bus riders, seniors, and riders with disabilities, agency officials announced a deal with the City of Boston to provide free T passes for students in grades 7 through 12. Starting in September, about 30,000 students will be eligible, with the costs split between the city and the T.
That’s a good start. The obvious next step is a similar program for college students. But surprisingly, and disappointingly, there isn’t one — even though Boston is the nation’s ultimate college town. The passes are more than a matter of convenience. Anyone who has tried to get on the Green Line at Boston University or Northeastern in the afternoon witnesses rampant fare evasion, or, for students who do pay, crowding at the front doors. 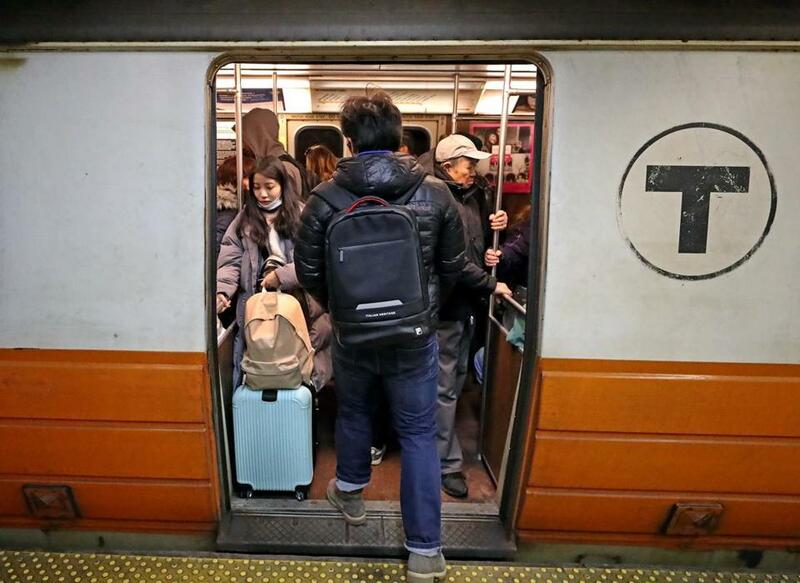 That leads to increased boarding time and delayed trains, problems the T hopes to solve with its $723 million new fare system, slated to begin next year. The T and area colleges could work together to solve them sooner by creating a systemwide “U-Pass” program, as dozens of cities around the country have had for decades. They’re wildly popular. Chicago counts an annual 123,300 U-Pass riders from 62 schools, up from 30,000 students at 12 colleges in 1998. The much smaller Duluth Transit Authority tallies 65,000 trips per month by students at four schools, rising from 4,000 at a single college in 2000. While U-Passes allow students to travel free system-wide, “free” is with an asterisk: Transit agencies offer a discount on passes to the schools, some of which pay for them by tacking a charge onto student activity fees. Other schools offer a subsidy, and still others foot the entire bill themselves, using money otherwise spent on parking facilities. The MBTA does have a college pass program for students at more than 50 colleges, offering 11 percent off on fares, and at last week’s meeting announced some technical refinements. But participation is dismal, with only 12,500 out of more than 100,000 area college students taking part in 2016. That brought in a paltry $7.5 million that year, compared to $32 million for the Chicago system. So who’s to blame? T officials say they’ve met with their counterparts at various schools over the years but found little interest. Richard Doherty, president of the Association of Independent Colleges and Universities in Massachusetts, echoed that account. Yet those discount plans are optional; automatically enrolling students into a pass program would be more effective. In Duluth, for instance, all student ID holders are eligible for travel whether they use it or not. Also, Doherty said, the fare evasion and keep-the-trolleys-moving problems — the latter affecting overall system efficiency — may not have been fully communicated. He’s willing to give the T another call. T officials say they’re willing to take that call. “If a group of universities across Greater Boston wanted to find a way to provide this for their students, we’d find a way to make it happen,” says Evan Rowe, the MBTA’s director of revenue. What’s at stake is not just a few more million dollars in T coffers — and the potential to stave off another fare increase. The college generation has grown up with the convenience of Uber and Lyft, and the ride-hailing option makes these services even more affordable and attractive. The T is fighting for relevance and needs to do all it can to get the next generation into the habit of taking public transit. Universities should want this, too. It’s in their best interest because more people on trains and buses means fewer people in cars, making the city far more navigable for everyone. And with the fare controversy settled for now, the T should work to make passes for all college students a reality.